Charities do amazing good. They help make our communities better places to live. They make sure kids get educated and fed. They develop cures for diseases that affect millions. But there are so many! In the USA alone, there are over 1.5 million registered charities. That’s more than 800 new charities a week for the last 12 years! And that doesn’t include churches, synagogues, mosques, or the change jar on the counter at the corner store. It’s amazing how much information is on the web. And it’s equally amazing how good Google is at helping you find that information. Search on the name of the nonprofit and/or the nonprofit’s leaders. You’ll see pretty quickly if you should be skeptical of their mission or proud of it. GuideStar.com is like a Google for charities. It is a great place to get a first-hand look at how big the budget is and how much they spend on fundraising. Use this information with a grain of salt. It is good to know how much of your donation will go to the programs you care about. But don’t get too hung up by “operating expenses” Different charities have different norms. Some are able to keep overhead down to 10%, while some might need it at 30%. But both could be doing an amazingly effective job fulfilling their mission. Whether you ask the charity directly or find out by looking at the 990s, it’s good to know what it’s costing them to fundraise. One charity I worked with was spending $1.75 to raise $1! In most cases, that is not an organization that you’d want to be making donations too. But it can pay to look a little closer. This charity was in the very early startup phase. Setting up a new operation can be expensive, especially when preparing for a capital campaign. This organization was actually laying a foundation to be a long-term player in its field. You wouldn’t buy an insurance premium from an insurance salesman that didn’t believe enough to purchase his own product. So why would you invest in a charity that the people running it aren’t investing in? If the percentage is low, it could be just the need for giving money in addition to time hasn’t been explained. I tell groups I work with that time and talent isn’t nearly as easy to measure as treasure is. They need to be giving at some level. Most of us can name a charity that’s been in the news for having an executive embezzle money or lead a profligate lifestyle. But one bad apple doesn’t spoil the bunch. The very fact that it makes a big story shows that the occurrence is quite rare. The overwhelming number of charities are run by good, well-meaning people. So learn from the bad stories but don’t get paranoid and weird about the charity you want to support. Sometimes we can just sense that something’s off even after you’ve done all the homework. Listen to that nudge. If you can’t make it go away, it may be wise for you to look for another charity. This probably should be first. But your friends may have heard of the charity or know people you can check with. And in our social media saturated world, you can cast a much wider net with your questions. You’ll also need to decide what kind of giver you want to be. Do you want to give a little bit to a lot of charities? Or do you want to focus on 2 or 3 so you can have a larger impact? Do you want to give to start up charities or well established ones? Do you prefer giving in your country or internationally? Should your faith community get the majority of your generosity? It’s totally up to you. It’s your money. You get to decide how you give. Giving really comes down to a matter of trust. You need to give your money to a charity you can trust. Not one that you feel you need to lots of restrictions on. Should you really be giving your money to a charity if you don’t trust it enough to make an unrestricted gift, a gift that they can use where they feel it’s most needed? As you give, ask the nonprofits how they'd like you to give. People love picking up an extra can of soup for the food bank while doing their groceries. It’s an easy, tangible donation. But food bank staff will tell you money is a better donation. Food banks have access to food at far lower prices than we do. They might be able to get fives cans for the price we pay for one. If you want to test a nonprofit, consider giving a gift-in-kind. Gifts-in-kind are gifts of products or services, gifts of your expertise. Be warned, most nonprofits aren’t geared for this so you’ll need to work with them more than you would if you were looking to give cash. And please, make sure your gift-in-kind actually helps offset the budget. To be truly helpful, gifts should them accomplish their pre-defined work, not merely add to their to-do list. Finally, be willing to change your mind. You don’t have to keep giving to a charity year after year. If a charity doesn’t treat you right, it’s ok to move on. That’s why initially giving to a broad range of charities can help. 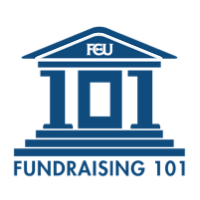 You can quickly learn about how they treat donations and donors. How they treat you can tell you a lot about what they value. Whatever you do, please give. Charities have a lot of room for improvement, but they are still more efficient with their money than the government. And giving can be an incredibly rewarding addition to your life.